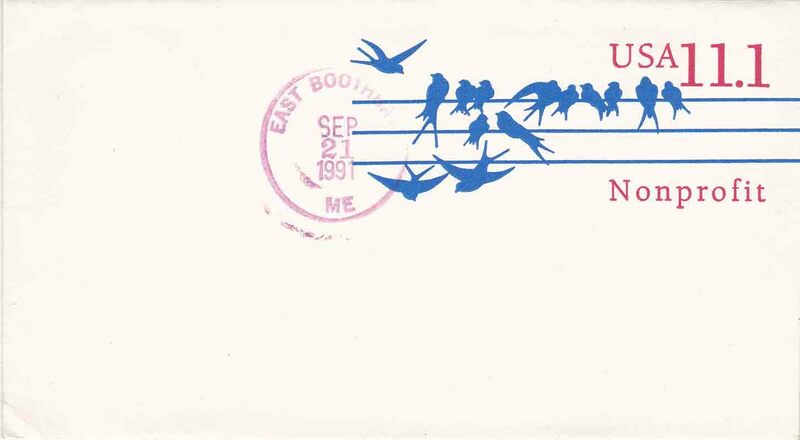 During the history of the town of Boothbay, there have been eight post offices. 1. 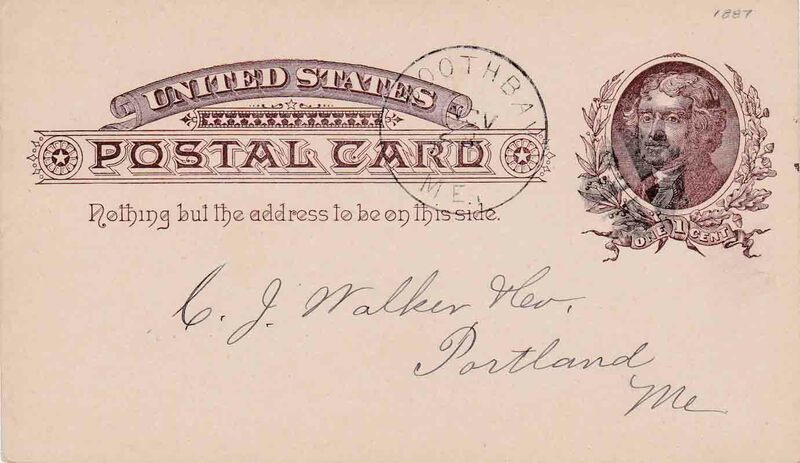 Backriver post office operated from 30 December 1897 until 30 April 1907. 2. Boothbay (1) post office was established in November 1802 and was renamed on 27 March 1889 as Booth Bay Harbor post office [in Boothbay Harbor]. 3. 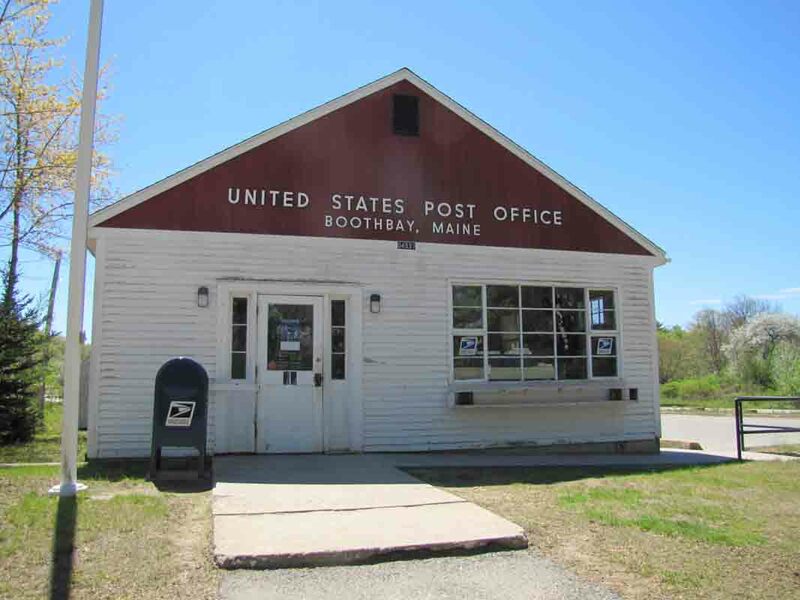 Haley post office was established on 24 October 1882 and was renamed on 26 March 1902 as West Boothbay Harbor post office [in Boothbay Harbor]. 4. 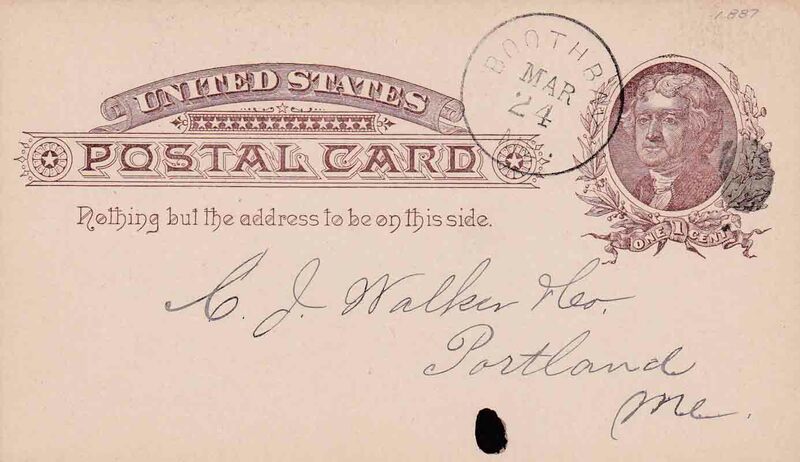 Hodgdon’s Mills post office, a private office, was established on 15 June 1831 and was renamed on 22 March 1876 as East Boothbay post office, which is still in operation. 5. Linekin post office operated from 14 October 1880 until 15 March 1929. 6. 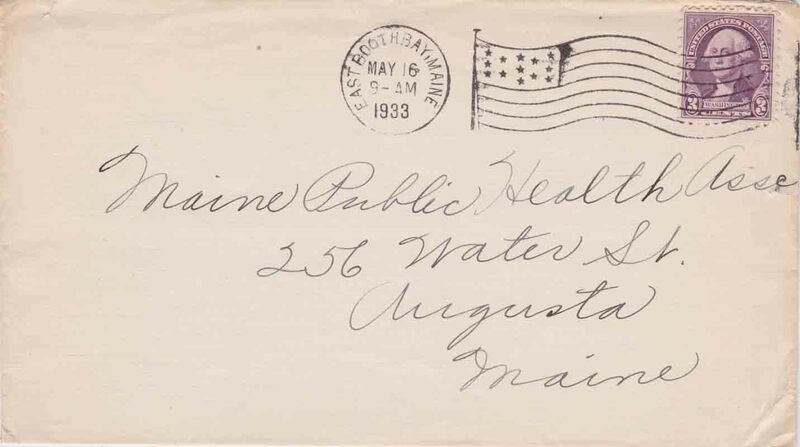 North Boothbay post office was established on 19 March 1829 and was renamed on 16 February 1891 as Boothbay (2) post office. 7. Ocean Point post office, a summer office, was established on 24 March 1880 and was renamed on 19 May 1967 as Ocean Point Rur. Br. 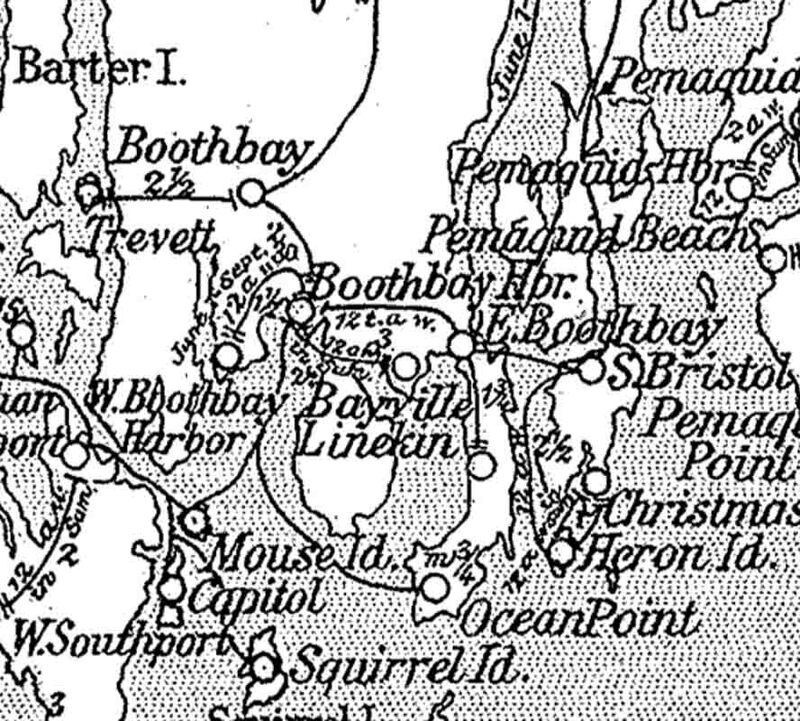 East Boothbay, which closed on 16 Septeber 1976. 8. Trevett post office was established on 11 October 1882 and is still operating. Research is necessary to determined if this post office has been in continual operation since 1882. 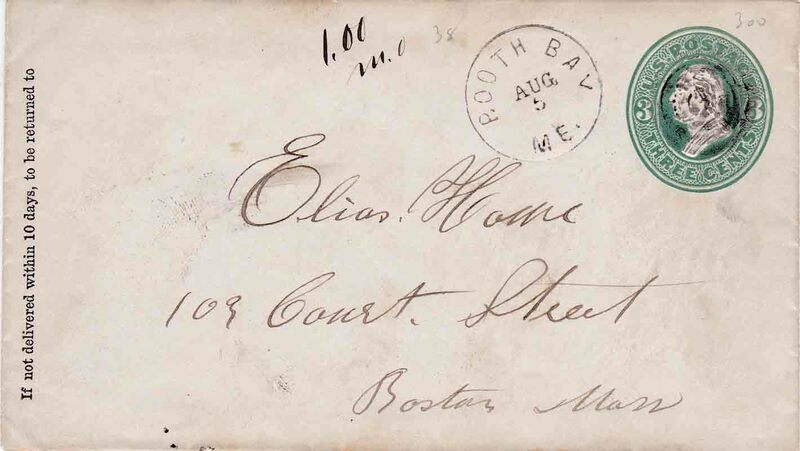 Research is needed to determine (1) the history of the post office of a cover bearing a [7 August or 8 July ?] 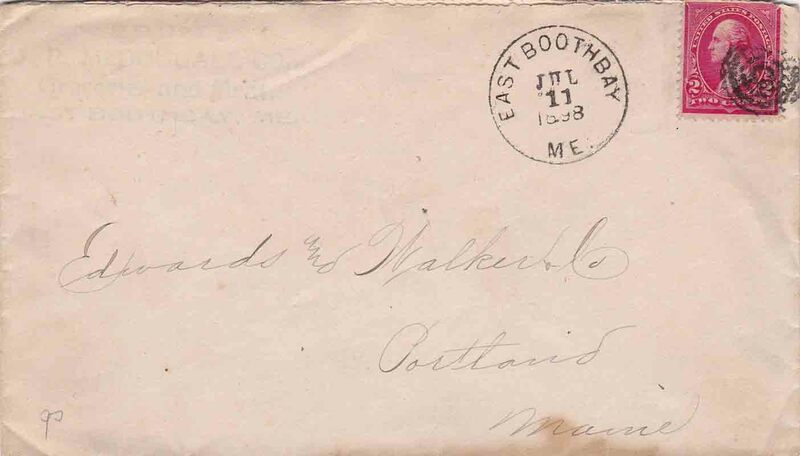 1876 postmark of Booth Bay and (2) the history of two postal cards bearing 1887 postmarks of Boothbay. 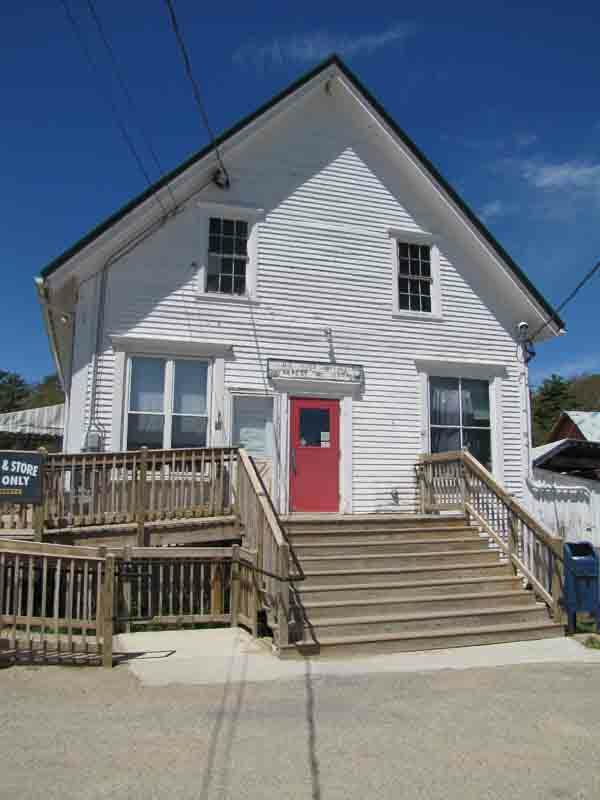 Boothbay post office is still in operation. 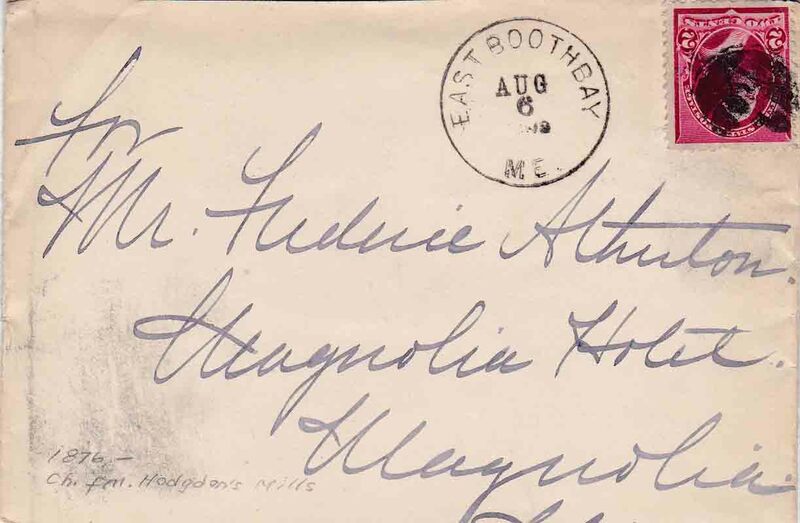 East Boothbay post office is still in operation. 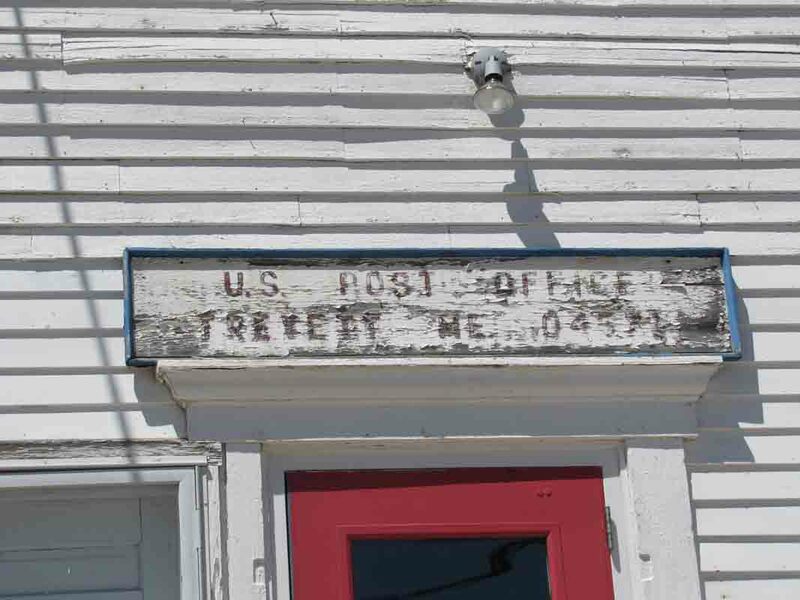 Trevett post office is still in operation.